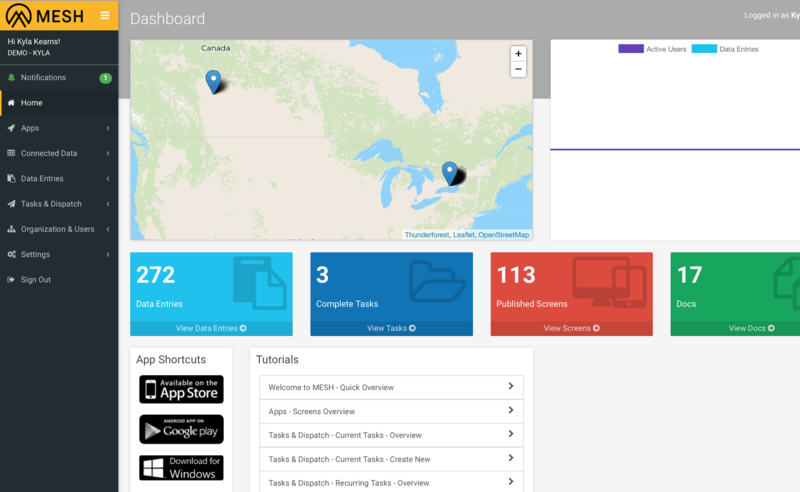 There are two ways to view captured data on a map, the dashboard page or the data map page. This is accessed from your home page on the web platform, or clicking on the MESH logo in the top left corner of the web platform. You will see a high level dashboard of all form entry activity from users in your organization. Form entries are shown as points on a map using the built-in 'Completed At' data value that is automatically saved with all form entries. Clicking on the marker will load that form entry’s data on the right hand side in a horizontal listing. Note: When 'Completed At' location could not be captured perhaps because the user was indoors, entries are not shown on the map. You can however, see all entries, regardless of location, in the Data Table page. A data map page allows you to view entry data for a selected form, and version, plotted visually on a map. Click on Data Entries from the navigation menu on the left, and select Map View from the drop down. 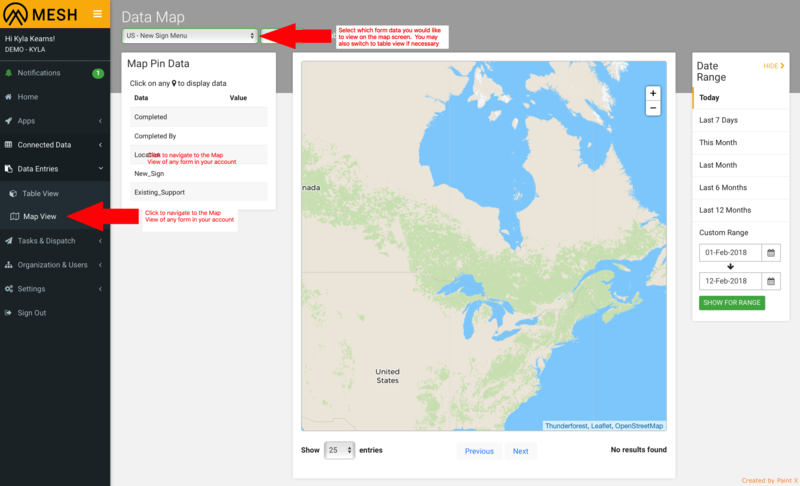 This feature requires the form in question to have the 'Log User Location' option enabled, as the user's GPS location at the time of filling out the form is what is plotted on the map.